Your website. When was the last time you made changes to its design? The start of the year is a great time to reassess your web presence and take inspiration from 2019 website design trends. Here, we’ve rounded up our pick of the most influential trends. Ideally you should keep a close eye on your website and update it every couple of years. Don’t panic though – we’re not saying you should overhaul your website completely and start from scratch. It could simply be a matter of looking at how visitors behave on your website to identify what requires tweaking, as well as reviewing current functionality to create a more positive UX and modernising design elements. The internet moves so fast and websites have a way of dating quickly (remember Flash? ), which can affect the perception of your products and services. Bear in mind that your website represents your business around the clock and should be treated like your hardest working, highest-value employee. In the world of website design, so many things can change in a calendar year – particularly when it comes to algorithm updates, visuals and best practices. Here are six website design trends our designers are incorporating into their website designs as we speak. Explore ways to make your website faster to load, easier to understand and more precise in terms of giving your audience what they want. Tell your developer this is a priority for you and ask if they can suggest improvements. Mobile phone browsing overtook desktop nearly four years ago, and we all spent around three hours a day looking at our phones in 2018. Today, this is where we do our research, book appointments and shop for everything. Your website needs to look just as good on mobile as it does on desktop. It’s worth remembering for SEO purposes that Google is a fan of mobile sites. 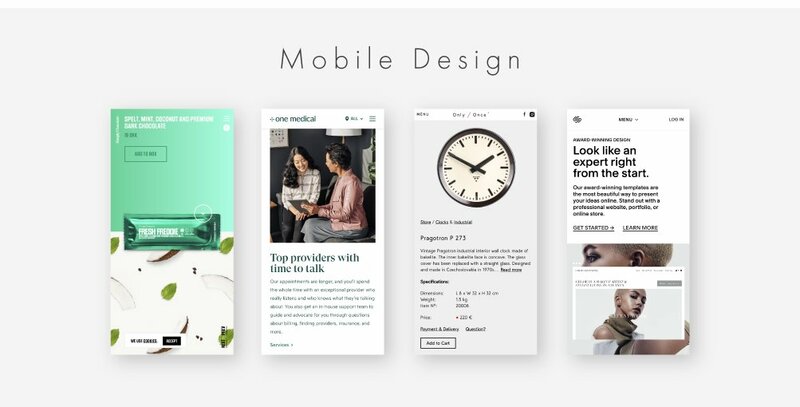 The mobile first culture affects everything about website design, with designers working on small-screen concepts first before they even consider desktop design. In terms of 2019 website design trends, mobile first means enhancing the user’s experience with mobile friendly navigation, fewer clunky graphics, phone numbers that trigger calls, slideshows that don’t require Flash and very simple navigation. One thing’s for sure ­– this trend is here to stay. High-quality burger restaurants are still having a moment in hospitality and so is the ‘hamburger’ collapsed menu icon. If you’re not familiar, the hamburger is a button with three clean, simple horizontal lines that stands in for your main navigation. It’s usually found in the upper-left corner of a website, sometimes accompanied by the word ‘menu’ to make things crystal clear. Not every designer is a fan of the hamburger, but our website designers appreciate it as a simple device that eliminates the need for wordy titles when space is at a premium on a small screen. The humble ‘hero image’ is in; media lead boxes and scrolling image displays are out (for now). Again, this comes back to the overall trend toward simplicity in website design. 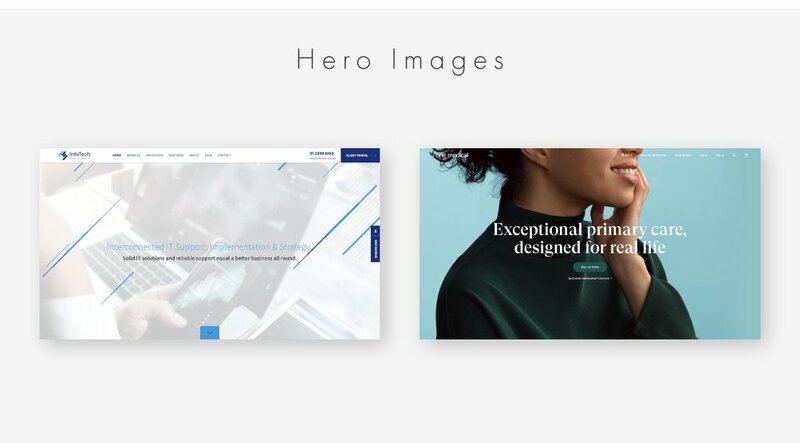 Greeting visitors with an impactful hero image makes an immediate impression, particularly on home pages. The caveat to this is that the image must be extremely high quality and say as much as possible about your business. This year, we predict that leading web designers will continue to weave video backgrounds into their designs. No doubt you’ve seen this design element around online. 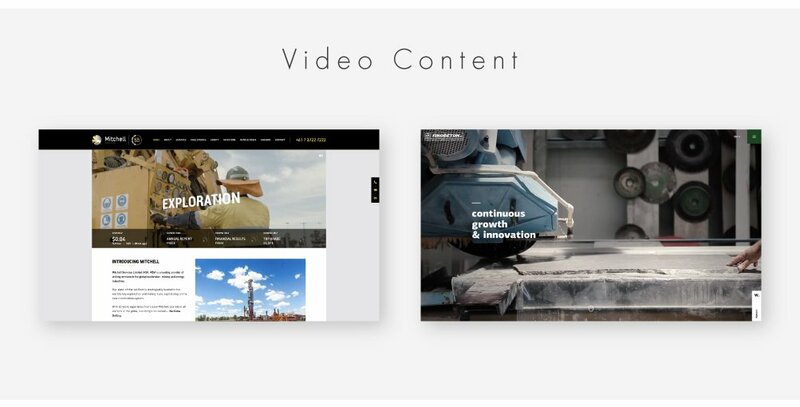 Embedded videos on the home page create an atmospheric backdrop to reassure visitors and relax the eyes. The key when exploring this option is to choose videos that are flat, fast-loading and minimal. AI is getting better all the time and 2019 website design trends would suggest that we’re finally warming to the idea of chatbots and instant interactivity. No longer are chat features creepy and intrusive – now they genuinely drive enquiries and can solve problems for your customers on the spot! Absolutely worth considering if you’re making changes to your website this year. Thinking about a website revamp? Our website design experts can bring your online home up to date with cutting-edge design.